While you are trading, Auto StopLoss Defender doing all the routine work. 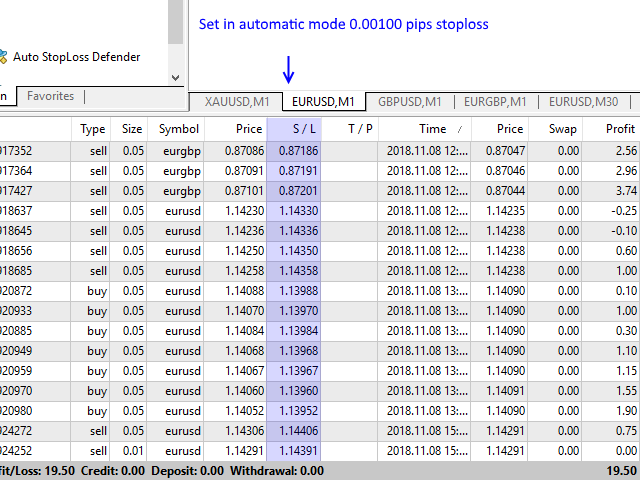 The Utilite automatically adds a stop loss to open and pending orders that have no stoploss set. The anti-requote system is built into the Utilite. That means the stop loss will be registered anyway!